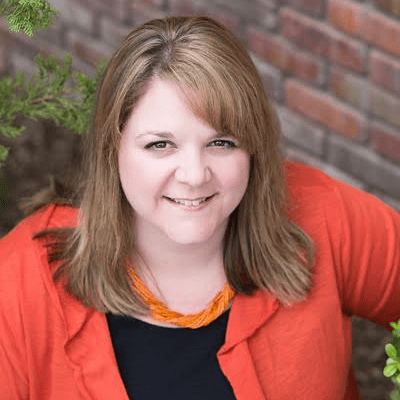 Looking for something to do with the kids over Spring Break? 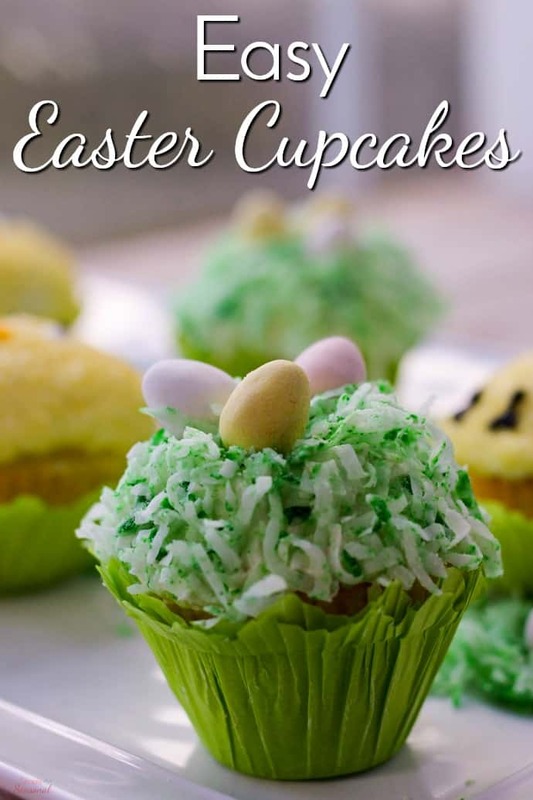 Make these Easy Easter Cupcakes and put some of that Easter candy to good use! I like to make “cute” cupcakes like this for different holidays. 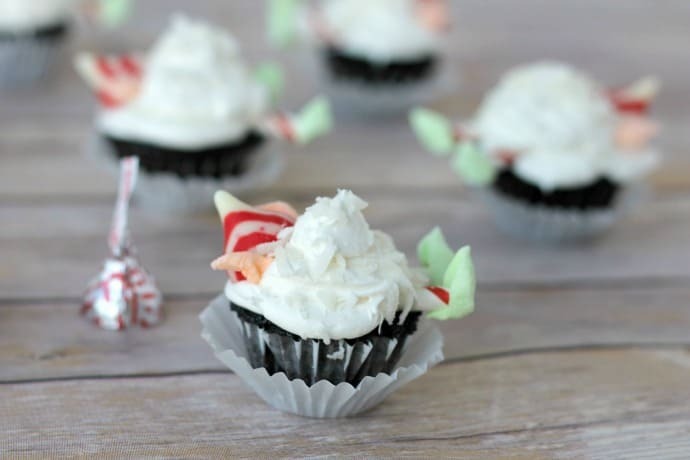 Cupcakes are simple to make, especially if you start with a boxed mix, and then all the fun goes on top! Plus, you can make a small batch of just 6 cupcakes so you don’t end up with a counter full of temptation. 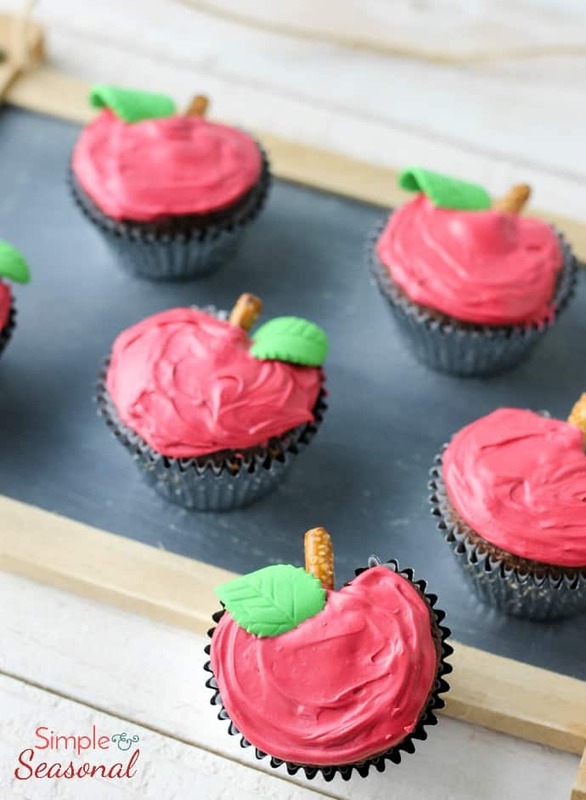 Here’s how to make just 6 cupcakes. Preheat the oven to 350 degrees. Line a 6 cup muffin tin with cupcake liners. Set aside. Mix ingredients (minus the frosting) on low until combined, then on medium for 2 minutes. Spoon batter evenly into the cups. Bake for 18-20 minutes or until a toothpick comes out clean. Now for the fun part- the decorating! 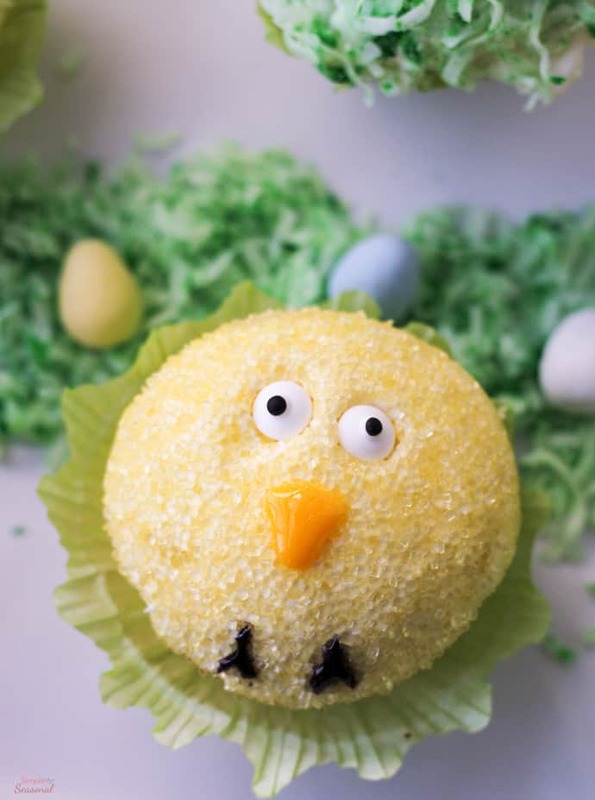 You can make these ease Easter cupcakes with the kids because there are only a couple steps and little hands can handle almost all of them. Some adult help may be needed for the details on the chicks, though. 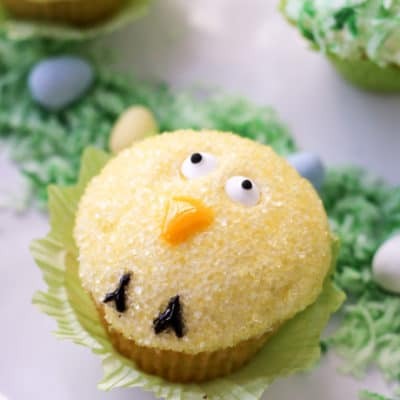 For the baby chick cupcakes, simply frost as normal, and then dip the frosting into a bowl of colored sugar. Make sure to turn them all the way around and get good coverage on all the frosting. 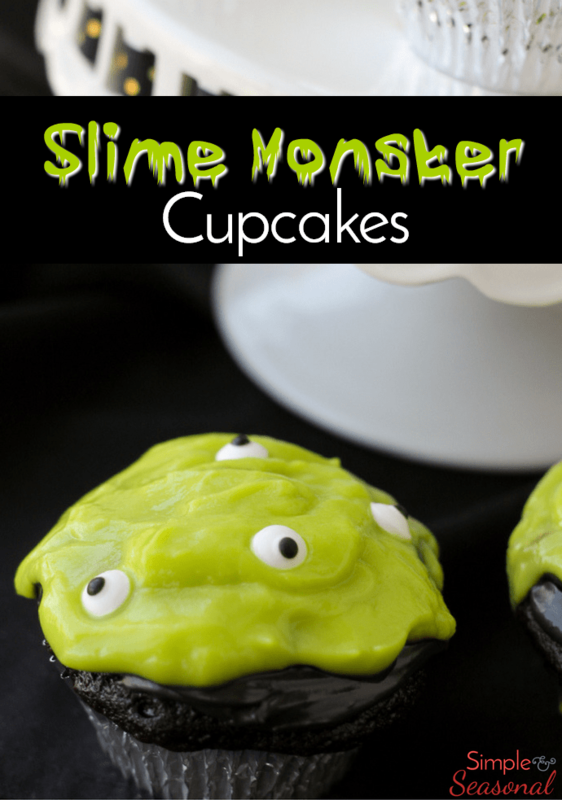 Then press a couple candy eyes into the frosting and use decorating gel to add the details like beaks and tiny feet. 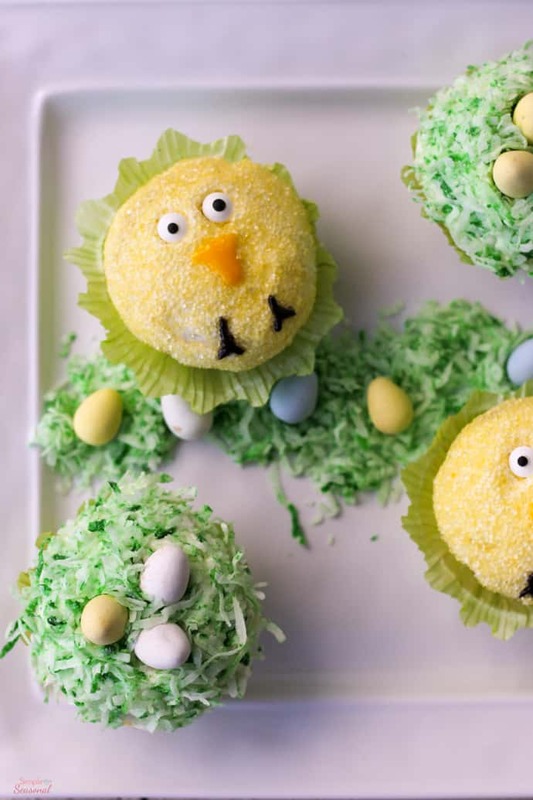 For the “Easter grass” nests, simply add a few drops of food coloring to a small bowl of shredded coconut and stir until you get the color distributed throughout. 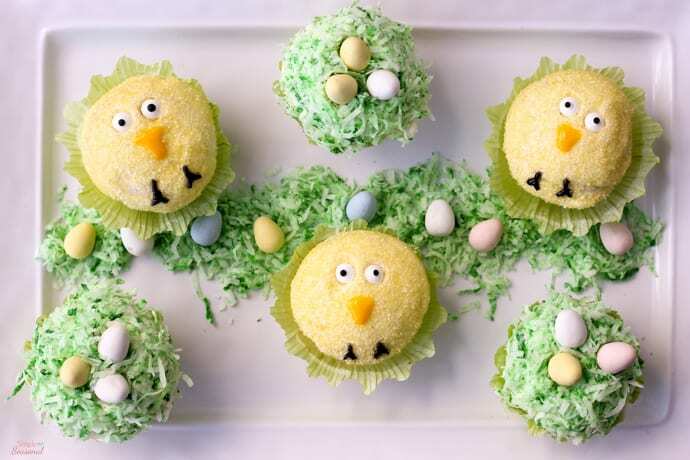 Then top a frosted cupcake with the edible grass and add a few chocolate candy eggs to the nest!